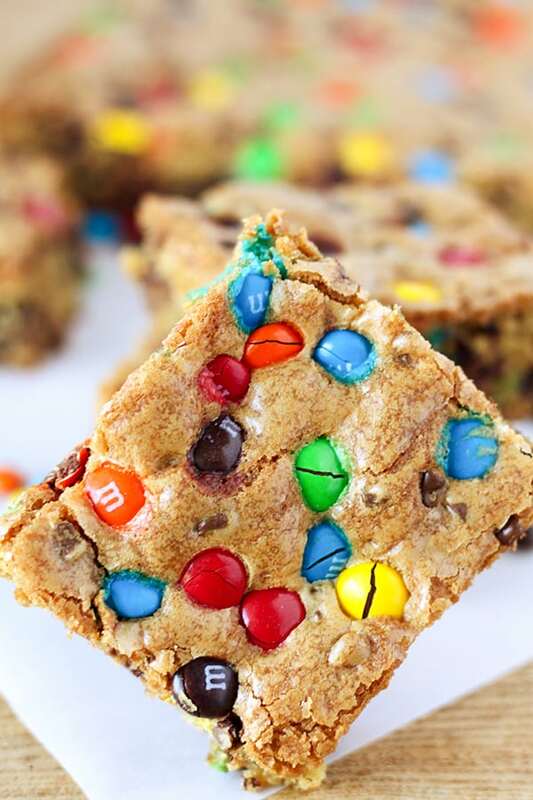 These M&M’s Cookie Bars are so easy to make and absolutely delicious. 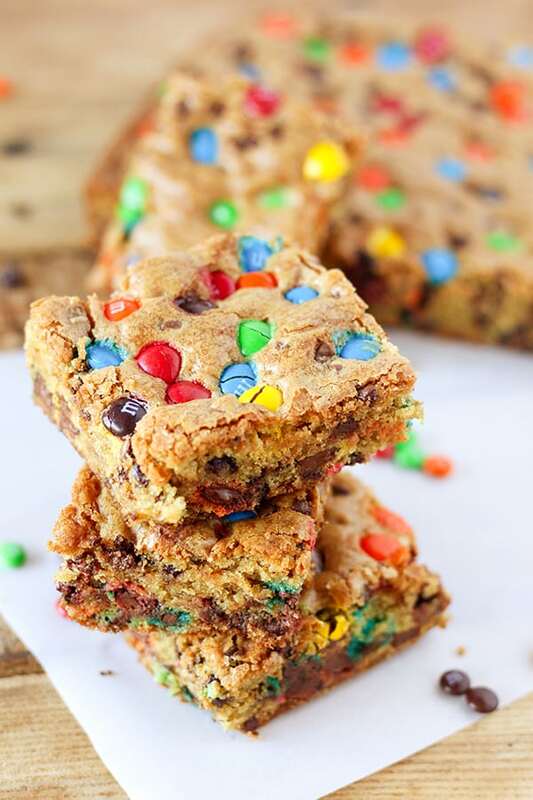 Golden brown and delicious, they are packed with colorful M&M’S and mini chocolate chips. 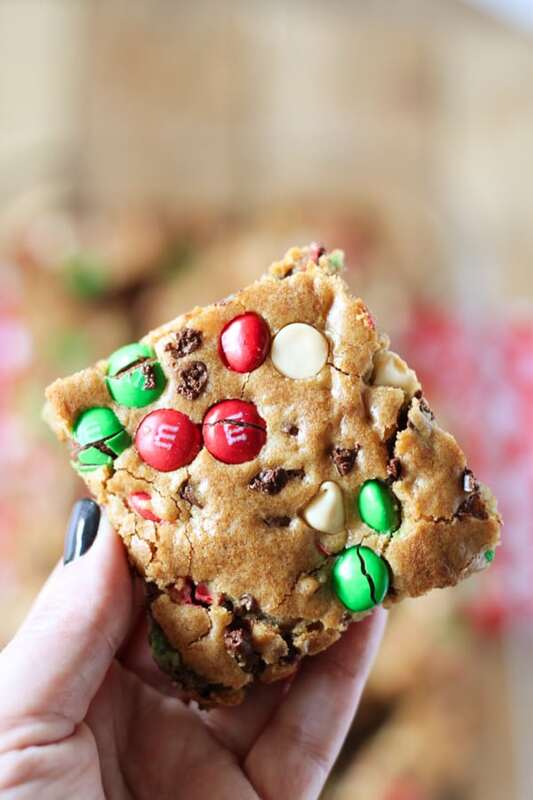 I just love the crunch of the M&M’S in this recipe! 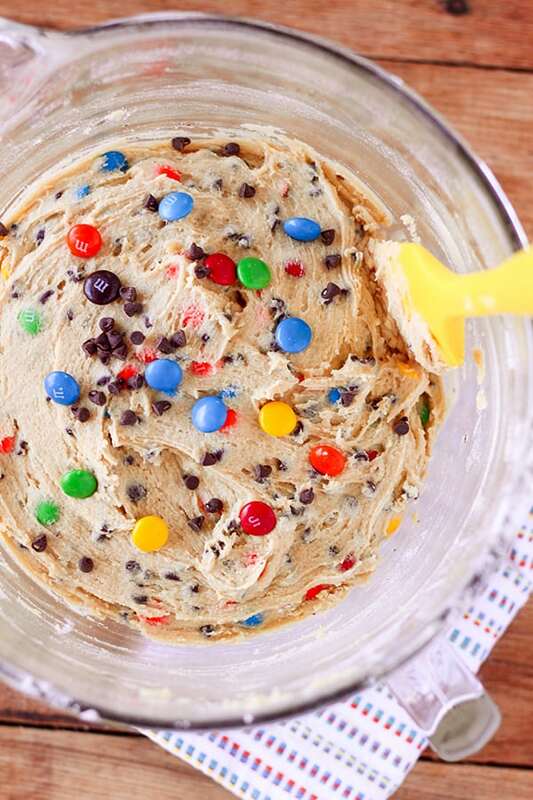 Make sure to add more M&M’S and mini chocolate chips to the top of the cookie dough before baking for a pretty presentation. 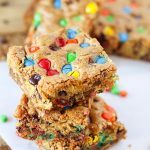 No scooping or chilling the dough, M&M’S Chocolate Chip Cookie Bars bake up in a snap and are perfect for parties or a crowd. 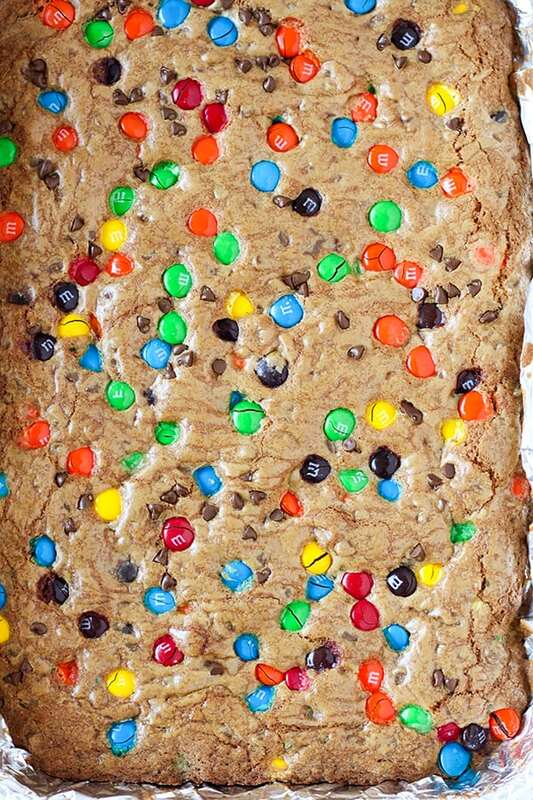 This recipe bakes a full 9×13 pan of cookie bars, I’ve listed 18 as the recipe yield, but you can cut them smaller to serve more if you prefer. Start by mixing the cookie dough. The dough should be fairly thick, so a stand mixer is best, but you can also use a hand mixer. 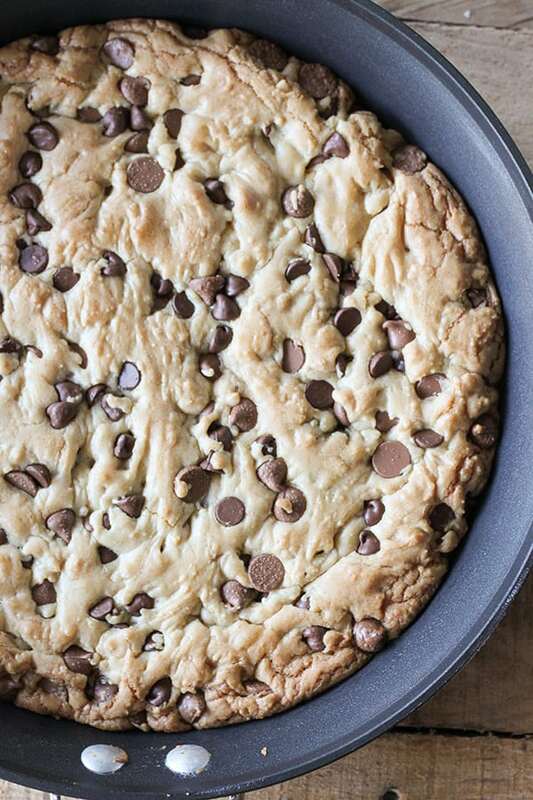 Transfer cookie dough to a 9×13 glass baking dish lined with foil and sprayed with nonstick cooking spray. This makes the bars easier to lift out and cut after baking. 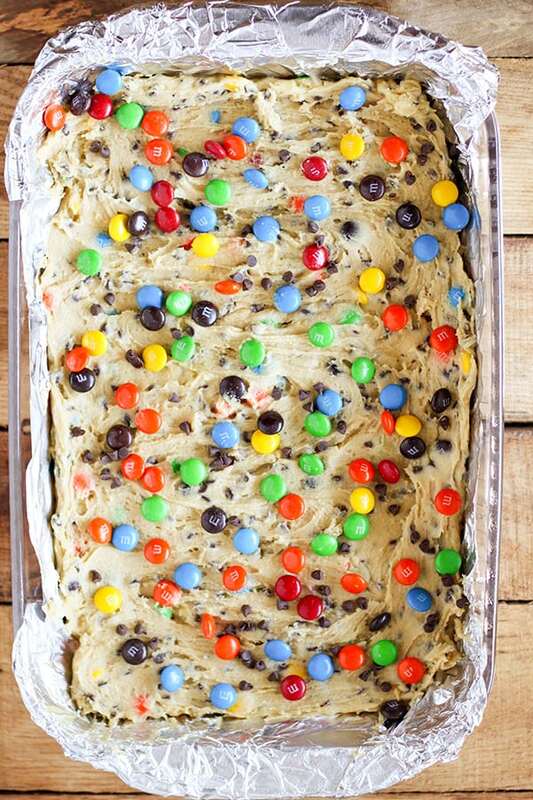 Sprinkle dough with additional M&M’s and mini chocolate chips. Bake 35-45 minutes in a 350 degree oven until bars are golden brown. 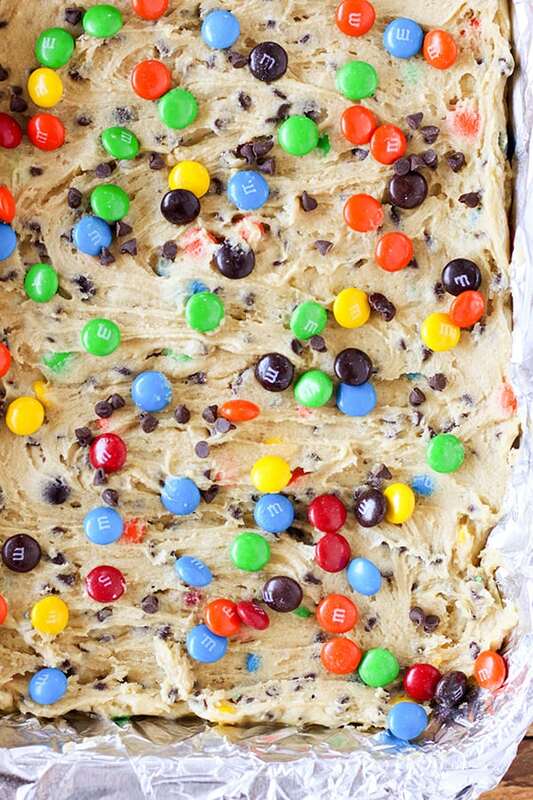 Press additional M&M'S and chocolate chips into top of cookie dough. 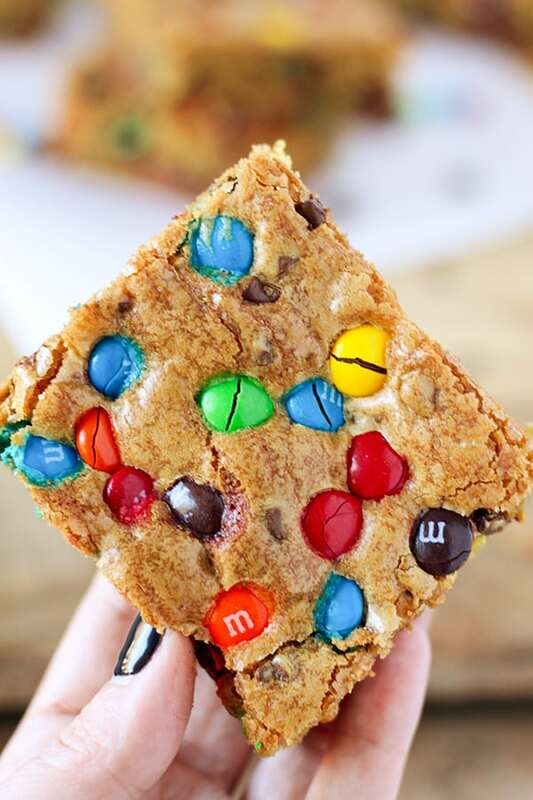 I’m seriously in love with these M&M’S Cookie Bars! They are so pretty and easy to make and the very best part is they are perfectly delicious! Can you use the non-stick foil in place of spraying aluminum foil? I haven’t tried it, but I imagine that would work just fine! Please let me know if you do! I made these for a book club treat and they were AMAZING! Will definitely be making these again.